There are 3 things I cannot resist buying when it comes to foods encompassing other foods, these being Peanut Butter, Salted Caramel and Red Velvet. 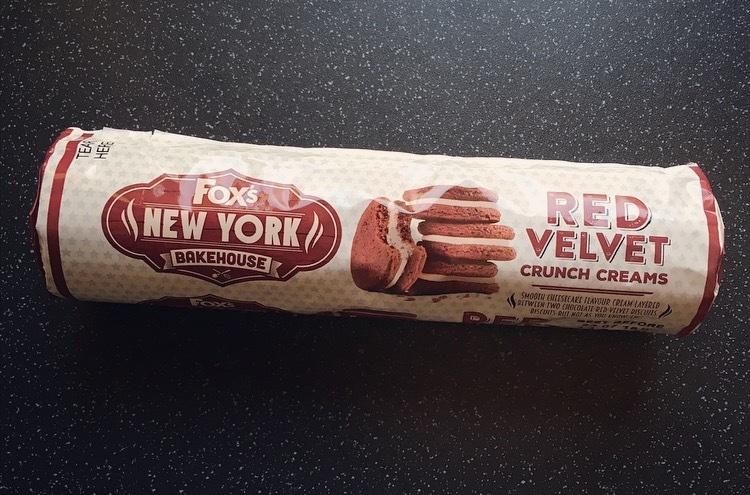 Once again the Supermarkets near me are a little behind the times in getting things in, but finally Sainsbury’s had Foxs Red Velvet Crunch Creams. 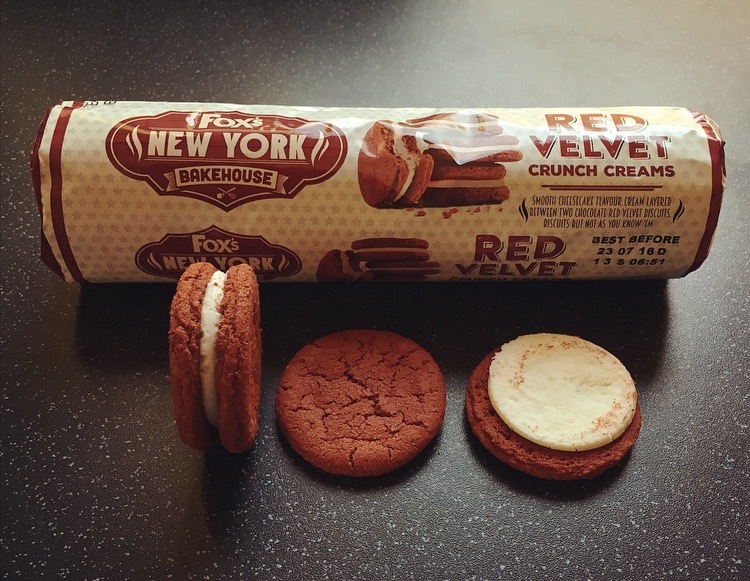 You will recall my review of when Marks and Spencer attempted the Red Velvet Teacake and completely failed at the Red Velvet aspect, so naturally I was pretty wary of these Crunch Creams turning out the same. Nonetheless there was a glimmer of hope and I am going to grasp that with both hands and munch on these Crunch Creams. First impressions the colour and look resembled that of Red Velvet. 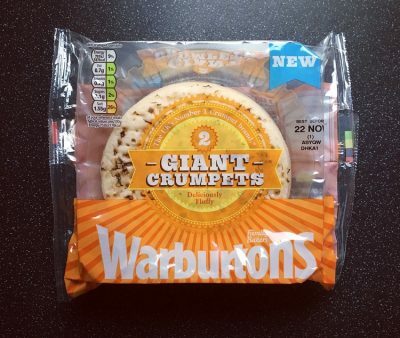 Each Crunch Cream had the perfect proportion of biscuit to cream, which pretty much covered the surface of the biscuit, another positive, surely we are onto a winner here …. Biting in there was an immediate hit of sweetness from the cream and that was all. 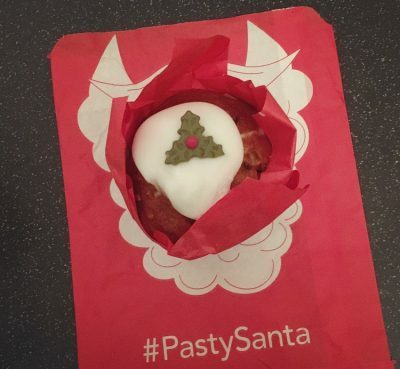 Where was the tangy sour cheesecake cream or the cocoa rich biscuit? I was rather bemused by this and had to get the family to have a little tasting. Yes I shared my goods again! They too were on the same wavelength, the cream was no different, the biscuit was no different, we were rather suspect that these were in actual fact just Foxs Golden Crunch Creams in disguise? Vinnie what have you done? Like the M&S Red Velvet Teacakes I question how these Foxs Red Velvet Crunch Creams even passed the initial taste test! They maybe ‘more yum per crumb’, but I am hugely disappointed by these not at all Red Velvet biscwits.